1.1. Background of the study: Internship program has been included to BBA curriculum for providing talent, up-to date and smart, efficient executives. Internship means gaining supervised experience. Internship program offers an opportunity to know the environment of a particular organization. By doing this program, I have developed and refined my theoretical knowledge gained in the classroom. This program provides exciting experience of planning, culture, behavior of employee and management style of that organization, which helps me to fill the gap between theoretical and real practical world. Theoretical knowledge does not make a person perfect. To implement the academic knowledge, practical knowledge related to it, is important. A perfect consideration between theory and practice is important in the context of modern business world. In order to resolve the dichotomy between theory and practice, the State University of Bangladesh arranges internship program as a partial completion of BBA program. This program is necessary for every student to complete his or her academic degree. Internship program brings students closer to the business theory and practical and thereby help them to substantiate their knowledge so that they can prepare themselves to start a successful career. Under the internship program, every student is assigned to an organization with a view to acquire practical knowledge. After taking practical knowledge, each student is required to prepare a report on the selected organization under the guideline of his/ her assigned teacher. As a participant in this program, I was place at National Bank Limited, Foreign branch that is well reputed for trade and commerce in Dhaka city, for a period of three months. System and General Banking Practice” in a commercial bank of Bangladesh: A Case Study of National Bank Limited. The purpose of this report is to get a gist idea about the fund management system, which is practice in our country. Banking is a vast term and through this report I have tried to analyze some crucial topics regarding fund management system. Without understanding the nerve position, it is very difficult to go deeply a system. To make the banking concept easier to the people, I tried my best to present the crucial topics in a smooth way. If the liquidity position of the bank is not in a suitable position, the bank may face crisis. Although excess of the fund may create problem because it does not bring anything for the bank however it is a financial intermediary. That is why we should know the different issues regarding the fund management system to get a comprehensive idea about bank. This report basically deals with the fund management system of National Bank Limited covering the areas like General Banking, capital management, liquidity management, credit management, reserve management etc. The main objective of the internship program is to formalize me with the real market situation and help me learn how bookish concepts are used in the real market. Therefore, from the very beginning of the study I have tried my level best to conduct my internship with a view to achieve some specific objectives and I have gone across the various department of the bank to acquire some related information and functioning procedure regarding those department. To acquire knowledge about the different operations of a bank. To learn how the fund management system of a bank operates. To know the issues those are required to manage to run the fund management system. To identify the problems those are related with the fund management system. To analyze the reasons for which the growth rate of deposit of a bank increase or decrease day by day. To know the ratios that bank determines to measure its different risk to evaluate its performance. To know the various liquid assets of a bank and their importance. To know the different capital instruments of a bank. To know the different types of reserves and their functions in a bank. To know the steps those followed in providing loan. To know the factors that a bank considers before sanctioning loan. To know the documents those are maintained by a bank in providing loan. To find out the area in which a bank is more interested to invest. To know the problems those are related in loan management. To know the positions those exist in organizational framework of a bank. To know the services those a banks provides for its customers. To go through all the departments of a bank and observe what actually happened in these departments. To find out how the general banking system of a bank runs. To know how the foreign exchange functions of a bank are done. To know the ratios those a bank finds out to know its liquidity position. This report has been prepared through extensive discussion with bank employees, clients and officers and on the information gathered from the annual report and prospectus of National Bank Limited. I have got the great opportunity to have an in-depth knowledge of the fund management system of NBL. The scope of this report is not only limited to the fund management system but also the report focused on the general banking system. Although I have got the full co-operation from employees, clients officers of NBL and they also gave me much time to prepare this report properly in the way of my study, I have faced some difficulties, which made my conduction of the program little hazardous. It should be certainly mentioned that the time two months is very short to get the total view of the banking functions. The officers were quite busy with their regular activities. For this reasons it was also a little problem to collect detail information from them. In some cases, they could not be able to supply me any information for the reason that they have no printed documents. Office secrecy was one of the most important problems. Disclosing of some information was restricted. In case of secondary data collection, there was very little secondary information. There were few support books, reports, journals, etc. moreover, the branch office had very little of this information. That’s why bulk of it had to be collected from the head office. As the officers were very busy with their day-to-day work, they could provide very little time. There are numerous research reports on the different activities and programs of National Bank Limited. Again, there are more studies on NBL’s service expansion program. The human resource department arranges different research program to identify its problems and inefficiencies. And by this way it tries to resolve their problems to provide excellent services to its customers. Beside that every year a number of students of different universities conduct their internship program in different branches of National Bank Limited. After the completion of their internship program they submit a report on their study to the Senior Vice President of Human Resource Department, Head Office, National Bank Limited. In their reports they flash out some recent problems and draw some recommendations about what the management of NBL should do to resolve these problems. Like every year a number of students conducted their internship program in NBL in the year of 2007. Among them a student of American International University-Bangladesh, named Md. Mobarak Hossain, mentioned in his report that the absence of online banking system in NBL is the main constraint of its success. The top management should start the online banking system as soon as possible if it wants to reach at the desired position. The top management has already taken the necessary steps to start online banking system. It can be expected that the customers of NBL will get the online banking service from thenext year. Another student of DhakaUniversity named Fahima Bushra students of MBA Program work on the Foreign Exchange Management of NBL in the last year. In her report she mentioned that the information technology of NBL is poor and the management should take necessary steps to improve its information technology. Because of this inefficiency managers required to do a lot of duplication work. Now the top managers of NBL try to ensure all types of technological support in their all branches. The nature of this report is descriptive. So instead of doing any survey, observation method is used to complete this qualitative research. I have tried to collect all such information that will reflect the actual situation of the bank for any report. I have collected various types of primary and secondary data while I was performing my job. I have collected various data from various sources by face to face interview with theemployees working in different departments of National Bank Limited, Foreign branch, personal investigation bankers of different branches of NBL, circulars sent by Head office and maintaining daily diary which contains all the activities that has been observed in the bank. The report has prepared on general banking practice and fund management system of National Bank Limited. Therefore, for the purpose of the study, all the branches of National Bank Limited have been considered as the population of the study. Only one branch of National Bank Limited has been taken as the sampling unit for the study, i.e. Foreign branch. Random sampling method has been used for the purpose of the study. The report is based on both primary and secondary sources of information. Interviewing the managers and officers of the bank, talking to the customers, the primary data have been collect. Further more different publications of the bank annual reports and the bank websites have been used for the purpose of collecting secondary data. 1. Guidelines and suggestions from fund management in charge of NBL (Foreign Branch). 2. Opinions and suggestions of bank officials. To make the report more understandable and give a nice look, different analytical tools and software, have been used to prepare the report. A number of flowchart, graph, table and different computer software are used. National bank Ltd is the first and major private sector commercial bank in Bangladesh fully owned by the Bangladeshi Entrepreneurs. The Bank started its operation from 23rd March 1983. As a result of the collective effects of the some eminent bankers, of failure in playing due to role in mobilizing small savings of the teeming millions and providing improved clients services to them in our country, the Government gave right decision to allow establishing banks in private sector. National Bank Limited was born as the first hundred percent Bangladeshi owned Bank in the private sector. From the very inception it is the firm determination of National Bank Limited to play a vital role in the national economy. It is determined to bring bank the long forgotten taste of banking services and flavors. It wants to serve each one promptly and with a sense of dedication and dignity. NBL prudently and boldly faced the challenges of various adverse situations prevailing in the post independence Bangladesh and has now established it self as one of the most successful bank of the country. People in all regions can easily avail of the services of NBL through its 98 branches spread all over the country. Besides, the bank has been smoothly conducting its overseas activities with utmost efficiency through its 358 correspondents in 67 countries of the world. NBL has drawing with 18 overseas exchange houses including the gulf overseas exchange. In order to provide modern banking services to satisfy the demand of the country and the people, all branches of the bank have been brought under computer network. It is able to reach with lighting speed the hard-earned foreign exchanges of non-resident Bangladeshis to their near and dear ones at home through the world renewed Western union. The bank maintains round the clock communication with the external world using the latest information technology services of SWIFT and REUTERS. In order to give improved and risk free banking services to the valuable clients, all arrangements for launching line banking are its final stage. Since the very beginning the bank extended much emphasis on overseas operation and handled a sizeable quantum of homebound foreign remittance. The Bank established extensive drawing arrangement network with Banks and Exchange companies, located in important countries of the world. Expatriates Bangladeshi wage earners residing in those countries can now easily remit their hard earned money to the country with confidence safety and speed. NBL has been able to create a special image at home and abroad by introducing different banking products in accordance with the expectations requirements of people of the country. NBL was the pioneer bank to allow back-to-back LC facility without any margin to the entrepreneurs of garment industry during the Eighties, thereby helping the industry thrive to its present position. This has not only contributed to enrich of the country’s foreign exchange reserves, but also opened employment opportunities for a large numbers of labor force of the country. As a pioneer in this sector, NBL’s name will remain in golden letters. NBL has been the pioneer in promoting readymade garment industries and still is the single largest financier in this sector. In the early 80’s when garment industry in Bangladesh was experiencing a process of trial, the bank foresights the bright prospect of this sector and extend finance to the deserving and promising entrepreneurs. It provided them with financial support including market information and advice and today the garment sector constitutes about 66% of the total export of the country. NBL is the first bank to introduce international Master Card in Bangladesh, which has facilitated the users to get benefit to different facilities in home and abroad. NBL is the first among private sector banks, which has set an uncommon precedence of extending fully, supervised collateral agriculture credit in the brained area of Rajshahi district to help small farmers to grow. The Bank engaged in all types of commercial Banking services within the stipulations laid down by Bank Companies Act 1991 and directives as received from Bangladesh Bank from time to time. The Bank within the stipulations laid down by Bank Companies Act-1991 and directives as received from Bangladesh Bank from time to time provides all types of Commercial Banking Services. Mainly National Bank Limited collects deposit from the people at lower rate and invests the same to the people again at higher rate. And difference between lower rate of deposit and higher rate of investment is the earnings of the Bank. National Bank Limited mainly invests in industrial sector like short term, middle term as well as long term for import of capital machineries, establish new industry and working capital assistances with this Bank play’s a significant role in Bangladesh economy. The National Bank Limited is Core Values consist of 6 key elements. These values bind our people with an emphasis that our people are essential to everything being dine in the Bank. NBL builds customer relationships based on integrity and respect. The main vision of the National Bank Limited is to develop the economy of Bangladesh by profitable investment of public money and build up their confidence to the private institution. To ensuring highest standard of clientele services through best operation of latest information, technology, making due contribution to the national economy and establishing ourselves firmly at home and abroad as a front ranking bank of the country is our cherished vision. The missions of the National Bank are as follows: The aim of NBL is to become one of the leading Banks in Bangladesh by its prudence, fair and quality of operation. As the financial services industry is a very competitive industry, the main strategy of NBL is the organic growth – to build branches and strengthen their distribution network. They will continue to invest and expand in Bangladesh as fast as local regulations allow. Execution – Performing with skill and speed. Keeping the view the great objective of contributing to expansion of education and welfare of the society, the National Bank Foundation was set up in 1989. With financial assistance of the Foundation, The National Bank Public School and College has been established in Moghbazar Dhaka. There are a total of 820 students studying in the school section from class 1st to 10th, while there are 120 students at the college section. In 2006, a total of 70 students appeared at the SSC Examination, of which 87% came out successful. In the college section, a total of 90 students appeared at the HSC Examination, of which 81% came out successful. Shamoli on 24 October 1989, which is fully residential. Beside faculty members of the Institute, renewed professionals like banker, economists, teachers and researches are invited to deliver lectures in training programs. NBTI has a rich library for use by the trainees. NBL has a program to open a Research and Publication Division soon. During the years under review 225 employees attained in training programs arranged by the training institute of the bank. In every batch, 25 trainees can attain in training program with residential facilities. Organizational setup of the National bank Limited is consisting of three organizational domains. Firstly the central top management, which contains Board of Directors, Managing Director, Additional Managing Director and Deputy Managing director. The major responsibilities of this group are to take central decision and transmit it to the second step. Secondly the executive level management, which contains Executive Vice Presidents, Senior Vice Presidents, Vice Presidents and Assistant Vice Presidents. The major responsibilities of this part are to supervise and control division/ department. Thirdly, the branch operation management, which contains branch manager and other mid/ lower level management. The major responsibilities of this part are to the 145 branches of this bank and report to the Head Office from time to time. In 2007 National Bank Limited made commendable progress in all business, like deposit, credit, fund management, investment, foreign remittance, credit card & foreign exchange related business. Bank has expended business activities as holding previously & parallels by diversification its investment to a new product, as a major financier remarkable portion of total exports of the country. Organizing of the National Bank Limited is based on Departmentalization. The organization is divided into twelve departments headed by Executive vice President or Senior Vice President. In the National Bank Limited the whole operation is centralized and authority is delegated by written guidelines. Entry-level recruitment process of the National Bank Limited is conducted in three ways. One way is recruitment of probationary officer. Each probationary officer has one-year probation period. After completion of probation period the officer joins as officer grade III (b). The career path of probationary officer is headed toward different management positions. Second way of recruitment is to recruit non probationary officer who joins as a assistant officer. The career path of an assistant officer is lengthier than probationary officer. The third way of recruitment is recruitment of staff and sub-staff such as typist, Messenger, driver, guard, attendant, cleaner and other lower level positions. Promotion policy of NBL is basically based on seniority basis. Sometimes, employees are promoted to the higher position for their outstanding perfoffi1ance. However, it is found that the average length of a position held by an employee is around five years. The bank has strict control over its all-organizational activities. The Bangladesh Bank directives indicate some control measures. Audits and inspection are conducted by different parties to check whether the bank implement these control system properly or not. The central bank conducts credit inspection by a team. The National Bank Limited has audit and inspection department to take controlling measures in internal operations. Audit and inspection team send to the branches now and then and is responsible for preparing report that will be submitted to the chief Administration to take necessary actions. National Bank’s Consumer Credit Scheme gives you a great opportunity to buy household and office items on easy installments. This scheme gives you the advantage of part payment to cope with the high price tags of many necessary home and office appliances. Furniture, Microwave Oven, Car, and a number of other expensive items are now within your buying range. With this scheme NBL makes better living possible for people living on fixed income. Customers can buy those home and office equipment’s without over taxing their budget. Through its Credit Card. National Bank Limited has not only initiated a new scheme but also brought a new life style concept in Bangladesh. Now the dangers and the worries of carrying cash money are memories of the past. Credit Card comes in both local and international forms, giving the client power to buy all over the World. Now enjoy the conveniences and advantages of Credit Card as you step into the new millennium. National Bank Limited has introduced ATM service to its Customers. The card will enable to save our valued customers from any kind of predicament in emergency situation and time consuming formalities. NBL ATM Card will give our distinguished Clients the opportunity to withdraw cash at any time, even in holidays, 24 hours a day and 7 days a week. This is an uncertain World and the threatening silhouettes of future catastrophes are always looming around. This NBL scheme gives your family protection against the insecurities of the world. This scheme is the first of its kind in Bangladesh. It combines the benefits of regular savings and insurance scheme, so, you get the usual rate of interest on the deposited amount while you enjoy the protection of a comprehensive insurance coverage. Under this scheme, the beneficiaries will get equal the deposit in case of natural death of the account holder whereas in the event of accidental death of the account holder the beneficiaries will receive twice the deposit. As for example, if a customer picks up Easy Class (Tk.50,000/-) he/she will get Tk.50,000/- for natural death and Tk.1,00,000/- for accidental death apart from his/her deposited amount and interest. Clients the opportunity to withdraw cash at any time, even in holidays, 24 hours a day, and 7 days a week. Present age is the age of competition. A good number of new private commercial banks came to banking sector in Bangladesh during the last decade. Foreign banks (Standard chartered, American Express, HSBC, Citibank N.A, etc) also conduct banking business in Bangladesh very successfully. These new generation banks introduced many attractable products for customers. National Bank Ltd. is also introduced many products to attract customers. It is an attractable savings project for limited income group people. National Bank Ltd. has got quick response in this project. A depositor can deposit 500-10000 Taka monthly for 3-8 years. ATM service is the dynamic process of electronic technology in modern banking. National Bank’s consumer credit scheme gives a great opportunity to buy house and office items on easy installments. This scheme gives an advantage of part payment to cope with high price tags of many necessary home and office appliances. A consumer is the ultimate user of a good. Thus “Consumer credit” is the credit, which directly comes into the use of consumer. Under the “Consumer Credit Scheme” NBL grants pecuniary help for the following goods and services. .Private car and station wagon new and reconditioned. Other goods that are not mentioned above but are considered essential. NBL is one of the first few Bangladesh Banks to obtain membership of SWIFT. SWIFT is a members’ owned cooperative which a first and accurate communication network for financial transaction such as Letter of credit, Fund Transfer etc. By being a member of SWIFT, the bank has opened up possibilities for uninterrupted connectivity with over 5700 user institutions in 150 countries all over the world. In Bangladesh, NBL has first introduced the power card. The use of power card is very easy and the cost of transactions is very low. So anybody can use it like cash to do their daily transaction. Division Football League last year. Besides, NBL extended substantial patronization to Bangladesh Olympic Association and Bangladesh volleyball Federation in 2003.The Bank never hesitates to extend its helping hands to the people as in the days of crisis so also in the exuberant happy moments of cultural events. Due to the predecessor Company’s involvement financing sector of the country, the bank inherited its top corporate customers. Moreover the bank is involved in import trade financing. Bulk importers of consumer durable, food gains industrial raw materials are its customers. The bank has financed in textile and apparels sectors. The bank has a trade of choosing customer from diversified groups. The bank has first class customers in the construction sectors involved in high-rise building, heavy construction and roads and high way construction. General banking department is the heart of all banking activities .All other departments are linked with this department. It also plays a vital role in deposit mobilization of the branch. National Bank Limited provides different types of accounts, locker facilities, special types of saving scheme and flexibilities of remittance under general banking. Step 1 The account should be properly introduced by Any one of the following:  An existing Current Account holder of the Bank.  Officials of the Bank not below the rank of an Assistant officer.  A respectable person of the locality well known to the manager/Sub-Manager of the Branch concerned. Step 3  The form is filled up by the applicant himself / herself.  Two copies of passport size photographs from individual are taken; in case of firms photographs of all partners are taken.  Applicants must submit required documents  Application must sign specimen signature sheet and give mandate.  Introducer’s signature and accounts number – verified by legal officer. Two photographs for Opening A/C duly certified by President/Secretary. Board Resolution for Opening A/C duly certified by President/Secretary. Cash management section of any bank plays vital role in general banking department because it deals with the most liquid assets. The proper management of this section entails overall effectiveness of any bank. NBL has a very equipped cash section. Making payment to the customers. Management of vault of the branch. At first the amount is counted and if ok then verified the purity of the note paid if there is any confusion of the teller. At last the receiving officer/ teller signed the deposit slip and by the sign of the authorized officer the deposit of fund finished in favor of a customer. In case of received of clearing cheque, the cheque is scrutinized at first whether the cheque is authenticated as per the NI Act. If satisfied then a crossing is marked so that this cheque never been enchased over the cash counter. Then the amount is kept apparently deposited in the customers account and the cheque proceeds to the clearinghouse accordingly. Receiving the cheque from the customer. There is sufficient amount in the customer’s accounts for making payment. If it is a bearer cheque (a cheque where the bearer’s name is installed instead of “Self”/“cash”) the signature is also taken for the record. Finally the “cash paid” seal is marked over the cheque leaf for the collection of the cheque after making the payment to the customers. The bank is required to maintain at least 9% of cash balance with Bangladesh on its total paid up capital. Limit of cash vault up to Tk.1.5 Crore. Limit of a cash counter up to Tk. 1.25 Crore. Limit of cash in transit up to Tk. 75 lacs. So the cash department is to maintain a cash limit of Tk. 2 Crore 45 lac as whole. The excess amount of a branch limit is to be proceeded to the account maintained with Bangladesh Bank. Remittance means transferring of fund through different instruments other than cheque. Remittance includes both inland and foreign remittance. In this section, only the local remittance is described. Deposit is the lifeblood of a bank. From the history and origin of the banking system, deposit collection is the main function of a bank. A deposit which is payable at a fixed date or after a period of notice is a time deposit. Short Term Deposit (STD) and Bewared Certificate Deposit (BCD) etc. While accepting these deposits, a contract is done between the bank and the customer. When the banker opens an account in the name of a customer, a contract arises between them. This contract will be valid one only when both the parties are competent to enter into contract. As account opening initiates the fundamental relationship & since the banker has to deal with different kinds of persons with different legal status, National Bank Limited officials remain very much careful about the competency of the customers. Cheque, Pay Order (P.O), Demand Draft (D.D.) Collection of amount of other banks on behalf of its customer are a basic function of a Clearing Department. National Bank Ltd. is a scheduled Bank. According to the Article 37(2) of Bangladesh Bank Order, 1972, the banks, which are the member of the clearinghouse, are called as Scheduled Banks. The scheduled banks clear the cheque drawn upon one another through the clearinghouse. When the branches of a bank receive cheque form its customers drawn on the other banks within the local clearing zone for collection through Clearing House, it is Outward Clearing. When the branches of a bank receive cheque drawn on them from other banks in the Clearing House, it is Inward Clearing. 2) 2nd house: 2nd house normally after 2 p.m. and it is known as return house. 5.6.6. Who will deposit cheque for Clearing? Only the regular customers i.e. who have Savings, Current, STD & Loan Account in the Bank can deposit cheque for collection of fund through clearing house. Precaution at the time of cheque receiving for Clearing, Collection of LBC, and OBC & Name of the account holder same in the cheque & deposit slip. Date in cheque may be on or before (but not more than six months back) clearing house date. Bank & Branch name of the cheque, its number & date in the Deposit slip. Signature for confirmation of date, amount in words / in figure Cutting & Mutilation of cheque. Cheque should be crossed (not for bearer cheque). Account number in the deposit slip must be clear. Depositor’s signature in the deposit slip. 5) Payee’s endorsement irregular/ illegible / required. The dishonor cheque entry in the Return Register & the party is informed about it. Party’s signature required in the return register to deliver the dishonor cheque. After duration, the return cheque is sent to the party’s mailing address with Return Memo. 6) Computer print 1st Clearing House computer validation sheet. 7) Examine computer validation sheet with the deposit slip to justify the computer posting. 8) Copy of computer posting in the floppy disk. 3) “Crossing seal” on the left corner of the cheque & “payees account will be credited on realization” seal on the back of the cheque with signature of the concerned officer. When the banks collect bills as an agent of the collecting branch, the sys tem is known as IBC. In this case the bank will work as an agent of the collection bank. The branch receives a forwarding letter and the bill. IBC against OBC: To receive the OBC cheque first we have to give entry in the IBC Register. The IBC number should put on the forwarding of the OBC with date. Deposit of OBC amount: OBC cheque amount is put into the “sundry deposit sundry Creditors account”, prepare debit & credit vouch of it. If the OBC cheque is honored, send credit advice (IBCA) with signature & advice number of the concern branch for the OBC amount. Carrying of cash is not so safe in today’s world. There is always a chance of losing or hijacking of cash. On the other hand, the desire to purchase any desired item of one may not be fulfilled for the want of cash at the time of that willingness. To remove these problems, credit card has been introduced which is very popular to face the mentioned problems. It is a card (usually plastic) that assures a seller that the person using it has a satisfactory credit rating and that the issuer will see to it that the seller receives payment for the merchandise delivered. NBL is the first local bank, which introduced credit card & MasterCard in Bangladesh in both local and international market in 1997. MasterCard captured 35% of credit card through the world. However present market analysis reflects that a large number of people whose average income ranges in above Tk.l0000 are using the credit card. Credit card division is continuing their all-possible efforts for the participation in the globalize Master Card Program. The number of users of the credit cards is increasing day by day. During the year 2006 the bank has got a profit of Tk.124.25 million from credit card business. NBL also has got the licenses from international brand Visa Card and very soon, it will be launched in the country. NBL is the first local bank, which introduced credit card & MasterCard in Bangladesh in both local and international market in 1997. MasterCard captured 35% of credit card through the world. However present market analysis reflects that a large number of people whose average income ranges in above Tk.l0000 are using the credit card. Credit card division is continuing their all-possible efforts for the participation in the globalized MasterCard program. The number of users of the credit cards is increasing day by day. During the year 2004 the bank has got a profit of Tk.104.25 million from credit card business. NBL also has got the licenses from international brand Visa Card and very soon, it will be launched in the country. Local credit card is valid only in Bangladesh. Out side Bangladesh, the card is invalid. Local card are two types. They are Gold local card and Silver local card. The card limit of gold local card is Tk.50000 to Tk. 100000 and silver local card is below Tk.50000. International credit card is valid mainly outside Bangladesh. But for the payment of roaming facilities for Grameen phone, cardholders can use international credit card in Bangladesh. International credit cards are of two types. These are gold international credit card and silver international credit card. The card limit of gold international credit card is $ 2000 to $4000 and silver international credit card below $2000. Any person whose monthly income is over 10000 can be a credit card holder of NBL. The fulfillment of the application form. 2 copies of photographs. (If supplementary card is taken then 2 copies of photographs of the nominee). A security. (MSS, SDS or FDR as lien). 2 copies of photographs. (If supplementary card is taken then 2 copies photographs of the nominee). National Bank Limited offers the cardholder 15 to 45 days credit facilities. For the proper billing the bank divided the cardholder into three cycles. These are 0 cycle, 3 cycle and 5cycle. In 0 cycle hill are prepare and send to the cardholder 1st day or every month and last date of payment is 15th day of the month. In 3cycle bill are prepare and send to the cardholder 3rd day of every month and last date of payment is 18th day of the month. In 5cycle bill are prepare and send to the cardholder 5th day of every month and last date of payment is 20th day of the month. The cardholder can pay the bill any branch of the National Bank. If any cardholder fails to pay the bill within the last date then he/she must pay 2% monthly interest and his/her card stop automatically. But if the cardholder pay minimum bill (10% of the bill) then he/she must pay the interest on the balancing amount and can use the card as usual. On the other hand, if the card holder withdraws any cash amount from the ATM booth (maximum limit is 20% of card limit) a monthly charge of 2.5% is to be charged from the date of withdraw. In that case the cardholder will not get the 45 days credit payment facility. 1) To earn interest from borrowers and give depositors the interests get back. The rest are the profit of the bank. 2) To accelerate economic development. 3) To meet the interest groups. Credit is a continuous process. Recovery of one credit gives rise to another credit. In this process of revolving funds, bank earns income in the form of interest. A bank can invest its fund in many ways. Bank provides loans and advances to traders, businessmen and industrialists. Moreover, nature of credit may differ in terms of security requirement, disbursement provision, terms and conditions etc. This concept is incorrect. Academically, Advances is the combination such items where loans is a part only. For this credit section of the banks is known as advance section. The interest rate is 14%. The interest starts from the date of first withdrawal. Only businessmen can open this and he has to be a current account holder of the respective branch of NBL. The security that is kept against the SOD loan are generally FDR, SDS, MSS etc. It is one type of current account. The difference between them is that current account is intended to be an account with credit balance and the CC is an account for drawing in advance. Operation of cash credit is same as that of overdraft. 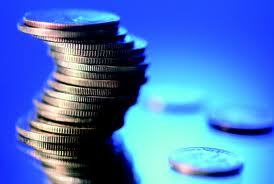 The purpose of cash credit is to meet working capital needs of traders and industrialists. It is given through the Cash Credit (CC) account. Clean bill are those that requires no payment for documents cheques, Demand Draft, Telegraphic Transfer and Mail transfer. Documentary bills are those that require related documents for payments like Bills of Exchange, Railway/ Shipment receipt and invoice etc. This bill is often created in businesses and bank purchases these before their maturity. Thus, purchases of these bills are one kind of credit to these before their maturity? As bank purchases these bills on behalf of the business so it is one kind of credit to those businesses. After maturity, bank presents it to the drawer for encashment. For the betterment of its own employees NBL provides loans. The branch managers and executives get this facility. Repayment is adjusted from their monthly salary on an equal monthly installment. 10% of basic salary is contributed by employee in every month. The staffs can also take loan, which is known as Staff Loan against Provident Fund (SPF). The repayment is adjusted from their monthly salary. 10% of basic is also contributed to the PF by the bank. National Bank’s Consumer Credit Scheme gives a great opportunity to buy household and office items on easy installments. This scheme gives the advantage of part payment to cope with the high price tags of many necessary home and office appliances. To lead a better life NBL provides this credit to consumers to purchase household items as Television, Refrigerator, Personal Computer, Furniture, Car etc. The people with fixed income get this credit. It is a 24 to 48 installment system of 14% interest. The amount allowed to the borrower is 10000/- to 300000/-. Ensuring the recovery of the money lent. Security deposited the borrower himself to the loan such as – FDR, Cash, MSS. Narrow Sense – security deposited by a third party to secure the advances for the borrower. Wider sense – any types of security on which the creditor has a personal right of action on the debtor in respect of advance common method of charging security and their nature of security. generally retained by the bank in its own custody or to the hands of the third party with lien marked. The third party cannot discharge it without the permission of the bank. Incase of need bank needs permission of the court to sell the property. Borrower transfers the right of property or debt to the bank. Life Insurance Policy, supply bills, book debt of the borrower can be assigned. It is one kind of lien but the bank enjoys more rights on it. In this case, physical transfer of the goods is must to the bank. Bank can sell the property without the intervention of the court in case of default on loan. Mortgage is the transfer of special movable property – like land, building, plant etc. Most common type of mortgage is legal mortgage in which ownership is transferred to the bank by registration of the mortgage deed. Another method called equitable mortgage is also used in bank for creation of charges. Registration is not required. In both the cases, the mortgaged property is retained in hand of the property. While lending, adequate care is taken to ensure the liquidity of the lien item. In this case, NBL choose such securities, which possess such liquidity. National Bank exercises the lending function only it is safe and the risk factor is adequately mitigated and covered. Safety depends upon the security offered by the borrower. In order to minimize the risk, National Bank invests its fund in different industries of different industries situated in different regions of the country. From the commercial point of view, National Bank considers sufficient yield of return while financing a project. National Bank exercises its lending function only on productive purpose. National Bank also considers national aspect of any project while financing. They take utmost care so that the project cannot be determined to the society as well as to the nation. In lending, the most important step is the selection of the borrower. Due, to the asymmetric information and moral hazard, banks have to suffer a lot due to the classified loans and advances, which weakens the financial soundness of the bank. If the selection of the borrower is correct, that is the borrower is a good character, capital and capacity or of reliability, resourceful and responsible the bank can easily get the return from them. IV. Financial statements (balance sheet, cash flow statement, and income statement). If the borrower is a sole proprietor then the single entry accounting treatment is converted into double entry system. V. If the amount is more then TK. 10 lac then report from credit information bureau of Bangladesh Bank is collected. Borrower analysis is based on 5-c’s (character, capital, capacity, collateral, creditworthiness) and 3-r (responsibility, reliability and resourcefulness). It follows that the bank forms a rational judgment about the integrity of the borrower which should be undoubted. Request for credit limit of customer. Project profile/ profile of business. Copy of trade license duty attested. Copy of T I N certificate. Certificate copy of Memorandum & Articles of Association, certificate of incorporation, certificate of commencement of business, Resolution of the Board, Partnership Deed (where applicable). 3 years balance sheet and profit & loss account. Valuation certificate of the collateral security in bank’s form with photograph of the security. CIB enquiry form duly filled in (for proposal of above 10 lac). 10. Credit report from other banks. 11. Stock report duly verified. Letter of partnership (firm) or Board of resolution (Limited companies). Letter of lien and ownership. Letter of credit for packing credit. Letter of lien. (in case advance against FDR). 10. Legal documents for mortgage of property. 11. Copy of sanction letter mentioning detail of terms and condition duly acknowledge by the borrower. Letter of lien and ownership/share transfer form (in case of advance against share). Letter of partnership (partnership firm) or Board of resolution (in case of Limited company). Letter of hypothecation. (In case of CC). Letter of pledge or arrangement of pledge. 1. Letter of partnership (partnership firm) or Board of resolution (in case of limited company). 3. Letter of acceptance, where it calls for acceptance by the drawee. 4. Letter of hypothecation of bill. National bank Ltd. signed an agreement with the Western Union Financial services, USA in 1993. Millions of people from different parts of the world are sending money with confidence to their near and dear through the western union has the most modern technology for remitting money within quiets possible time from any part of the world through their more than 170000 representatives in 190 countries and regions has established a unique money transfer system with western union of. Through an online computer system units can be instantly of the world. 56.17 million dollar was remitted to this bank through this organization during the year 2003.NBL brought a substantial amount of foreign exchanges in to the country through the western union in 2003, which is 44% higher than that of 2002. The western union is a globally reputed name in money transfer services and data exchange forever 150 years. Western union has continued its tradition of possessing the latest technology and handling wide scale remittances. Payment of remittance by expatriate Bangladeshis through the western union are being made at 100 branches of NBL. These branches are connected with the on-line computer system of the western union. Reliable : Trusted by millions for over 150 years. Accounts Department is called as the nerve Center of the bank. In banking business, transactions are done every day and these transactions are to be recorded properly and systematically as the banks deal with the depositors’ money. Improper recording of transactions will lead to the mismatch in the debit side and in the credit side. To avoid these mishaps, the bank provides a separate department; whose function is to check the mistakes in passing vouchers or wrong entries or fraud of forgery. This department is called as Accounts Department. If any discrepancy arises regarding any transaction this department repot to the concerned department. Recording the transactions in the cash book. Make charges for different types of duties. CRR in current account with Bangladesh Bank (on which no interest is received) and the rest 13% are maintained in different approved securities, treasury bills, bonds, debentures and foreign currencies. In utilizing its resources, the bank keeps in view the need for maintaining required liquidity and earning maximum profit through lending and investing. Generally National Bank collects funds from three sources. NBL has a consistent dividend policy. In line with that Stock Dividend of 52 percent was declared for the year 2008 which strengthened paid-up capital base and it stood at Tk. 2,846.53 million 2009 against authorized capital of 7,450.00 million. The statutory reserve enhanced by 35.95 percent to Tk. 2,418.37 million in 2009 after transferring 20 percent on pre-tax profit while it was Tk. 1,778.87 million in 2008. At the end of 2009 shareholders’ equity by 45.55 percent to Tk. 8,916.76 million from Tk. 6,126.27 million of 2008. The deposit base of the bank registered a growth of 27.66 percent in the reporting year over the last year and stood at Tk. 76,838.64 million. Expansion of branch network, competitive interest rate and deposit products contributed to the growth. The customers of the bank were individuals, corporations, financial institutions, government and autonomous bodies etc. Sometimes bank faces liquidity crisis. To handle this type of problem NB borrows funds from other banks or resources. This type borrowed fund may be short or long term. Long term borrowed fund may use as capital. The borrowings from other banks, financial institutions and agents increased by 22.52 percent in 2009 over the last five year. Borrowing from Bangladesh Bank under the head of Export Development Fund (EDF) was the prime contributory factor for the growth. National Bank limited collects funds through deposit, capital rising and borrowing. These funds are able to earn income. Banks invest these funds after confirming the short term and long term liquidity position. If bank holds its fund idle, it may occur losses. On the other hand, if bank invests all the funds it may cause liquidity crisis. As a good bank, NBL tries to mat6ch its liquidity position and the fund invested. The funds that the bank keeps for maintaining liquidity position may not generate profit. But bankers have to interest on deposit. Items in the process of collection. Balance with the central bank. Balance with the other bank. National Bank Limited also runs profit and loss basis like other business enterprise. It means that NBL is able to provide more dividends to the shareholders as a good bank. Like other enterprises, banks NBL face some risk. As long as it can minimize its risks, it can maximize its profits. Holding of easily convertible cash to meet shortage of cash assets. Mitigation of cash shortage by creation of creditors and borrowings. Each bank maintains different types of liquidity according to their business nature. National Bank maintains 6 (six) types of liquidity. Demand for liquidity means demand of clients, interest person, and group of bank on account of liquidity. Supply of liquidity means the source of fund from which bank get the supply of fund on demand. Income from services other than deposits Disbursement of loan installments. Short term funds are used in long term investment. Large proportion of liabilities is paid in that time period. Over sensitiveness of interest rate. Indifferences and lack of close observation of the deposit and loan behavior of the prime customers and industrial customers. Maintain linkage with the bank rating agencies. Increase influence in the money market. Enhancing the skill of loan recovery and loan sanction. Collection of government fund through other organization. Bond and notes issued by local government. Resale of banker acceptances in local secondary market. Fund of Central Bank, payable on demand to institution. Easily salable less risk debentures repurchase under agreement. Large certificates of deposits belong to the government and NGOs. Borrowing from reserves on government debenture discounted Central Bank fund. Balance liquidity management strategies means adjustment of assets conversion strategy and liquidity strategy. Like other banks, NBL is a business concern which deals with cash. Owners of the bank are not the owners of the cash because the most of the amount of cash fund comes from the depositors. Generally the capital of the bank owners is not higher than 4% of the total. Deposit of the other depositors is the principle instrument of the bank business. So the bank fund must be properly utilized for running the bank business well. Inflow of cash in a planning way. Outflow of cash payment in due time without giving advances. Cash balance maintains in an equilibrium position. Filling up the lacking of the cash balance for the primary and secondary reserve. Excess reserve must invest in profitable sector for better return. Currency and coin in the bank vault. Due from the Central Bank. Due from other commercial bank. Deposits are the main part of a bank fund. It is almost impossible to think a bank without deposit. So every bank try to maximize its profit, try to secure it and try to maintain an easy flow deposit. Money market and capital market transactions make deposit collection process for bank. Notice that few years ago current deposit was higher than term deposit. But at present depositors like to keep their fund as term deposit. These deposits have an impact on the banks investment and lending policy. So, banks try to increase their deposits by offering attractive package to the depositors. Depositors have their own choice that is changing with time. With this change the banks introduce new deposit collection policy. These activities of bank related with deposit are known as deposit management. National Bank Limited mainly collects deposits for increasing its fund. Other than increasing it deposits, NBL has some other objectives. c. Extend the scope of the loan. d. Fulfill the excess need of money. e. Participation in maintaining social responsibility. Physical feature of the branch. Use of modern and electronic technology. Attractive loan and investment scheme policy. Suitable location of the branches. Advantage of early stage in a specific location. Deposit processing start from account opening section. And with the transaction in account section. Notice that every activities of the accountholder have an impact on the books of account of the bank. Account opening section gives suggestions to the customer about the suitable accounts that the bank have for their clients. Acceptance of necessary application, photograph and documents. Checking department scrutiny that customers submitted with application. After scrutiny bank manager gives permission to open a new account. Then customer has to deposit required money as initial deposit. In computerized banking system new account is initiated and account holders profile entered into the databases. Delivered checkbook, passbook and deposit receipt to the account holder. In manual banking system, a ledger folio is specified for book keeping of the new account. After a specific period account statement sent to the account holder. 10. Banks review the accounts and verified the correction of the balance of the account. 11. Banks also try to influence the potential depositors to open account with them. The term bank capital refers principally to funds contributed by the bank’s owner, consisting of stock reserves and those earning that are retained in the bank. Like all other banks, National Bank has two types of capital. Mandatory convertible instruments not eligible for primary capital. At national bank, there are two types of documents. To provide the normal hazard and unforeseen contingencies. To act as a cushion in times of restricted monetary policy. To raise awareness that bank owners have state along with the depositors in the supply loan able fund. To obtain permission for opening new branches. To avoid punitive measures for reason of capital adequacy. Acquire the physical plant and basic necessities needed to render banking services. Act as one of the source s of funds for loan and investment. Protect the uninsured depositors in the events of insolvency and liquidation. Act as an unanticipated loss restraint. Serve as a regulatory restraint. Generate preformed balance sheets and income statements for the bank. Assume / select a dividend layout. Analyze the cost and benefit of alternative source of external capital. The quality of bank management. The liquidity of bank assets. The history of earning and retention there of. The liquidity and character of ownership. The burden of meeting occupancy expenses. The potential volatility of deposit structure. The quality of operating procedures. The capacity to meet the present and future financial needs of their trade areas. Considering the competition it faces. Variation in the use of technology. 10. Need for placement of assets. Like any other bank, NBL has deposited a portion of its total deposit at Central Bank and also a portion in its own vault with the knowledge of Central Bank. It protects the bank from possible liquidity crisis. It plays the role of first line of defense. It enables the bank to satisfy depositors claim instantaneous. It enables the bank to perform the expected on the community. It enables the bank to meet the establishment expenses. It is one kind of stature cash reserves which are maintained by the order of Central Bank on the basis of deposits. At present the normal rate is 9% in Bangladesh. It varies from country to country. It is the excess reserve out of the statutory reserve kept in Central Bank on current account as cash or cash equivalent. At present the normal rate of working reserve is 18%. Secondary reserve must be convertible into cash in a short time. Before making investment in secondary reserve, the management of NBL gives the highest attention in the fact that it will make no loss at the time of return. The turn value must be greater or at least equal. 1. It helps the bank to avoid liquidity crisis. 2. It earns a moderate income. 3. It helps the bank to maintain the two opposite principles- profitability and liquidity. Call loans to stockholders and commercial bank. Short term loans to commercial bank. Short term loans secured against self-liquidating assets. Promissory notes on short period maturity. Discounting of nuisance bill eligible for rediscounting from central bank. Short period debenture of companies of unimpeachable credit standing. 10. Bonds and securities of Govt. Agencies. Loan policy is essential for the bank in order to attain its objectives and to serve the people. The board of directors set up the policy of loan. This policy may be changed according to the demand of customers or may be made suitable for the changing environment. Maximum policies are written which help both the parties to avoid any kind of misunderstanding. Sometimes the officers disburse loan beyond its policy. The unclear and flexible terms and conditions of loan sanctioned. Loans are centralized to the extreme limited area. Cash follow of the borrower. The NBL follows the following steps in order to sanction a loan to customer and recover it. Step-4: Take final decision to sanction the loan. Step-6: Complete the loan agreement. Step-8: Observe the implementation of loan agreement. Background of the applicant regarding loan and financial performance. Ability of using the loan and also the character of the applicant. Ability of the applicant to return the loan. If the applicant faces any problem during the planning, evaluate the performance of his existing capital. National and international factors that have influence on the applicant on his ability to return at present and planning situation. Financial statement of the loan applicants. Power of attorney and his signature on behalf of the borrower. Decision of the board of directors on behalf of the borrowing firm. Assurance certificate of the competent authority. Financial agreement of the guarantor. 10. Copy of mortgage and contract agreement. 11. Certificates of the mortgage property. After analyzing the annual report and other papers, the evolution of performance analysis and on the basis of my study I have got some findings about the National Bank Limited. NBL is the pioneer of private sector banking business in Bangladesh. . As a result it has a huge branch operation with 145 branches and 2970 manpower causing large employment opportunity. Necessary changes in credit policy, loan and advance policy, provision for provision are made continuously. The Officers engaged in loan management is very much aware in choosing right person to provide loan to ensure its recovery. The top management is more conscious about the liquidity of bank. The strength of the Bank lies on the top management of the company and the financial soundness of the sponsors, as they are all well reputed personalities in the Bangladesh. This impressive lay of National Bank Ltd. helps to have a good image. The top management gives its highest attention in the operation of fund Management. The customer service is very much impressive than other financial institution. Remittances, both local and foreign are effective manner of customers. 10. Computerization is speeding up the performance of the organization. The top management already starts online banking system. This decision will motivate the employees who are very effective in computer skills. 11. Top management guidance to its subordinates is very much friendly. 12. Special schemes like consumer durables loan, Education loan, Any purpose loan, Professional loan, monthly saving scheme, Double Benefit schemes and Insurance scheme etc. are very popular. 13. The overall working environment of the office is very nice. 14. Lack of professional data entry operators. 15. Not a proper skilled human resource in every department. 16. Inadequate workforce in new branches. One is required to do two or three departments work. 17. Lack of proper coordination among different departments. 18. In adequate facilities in maintaining the operation of ATM card, Master card, Visa card etc. Every organization has some strength that helps it to survive, some weakness that push it backward, some opportunities that helps it to compete and also some threats that keeps it aware. NBL also has some SWOTs. These are mentioned below. NBL is a very competitive organization. It is operated by a very efficient management group. There is a good employee-employer relationship in its head office and also its all branches. It has a healthy dislike of is competitors. NBL has sponsored to the top programs, seminars, writing competition and gained valuable coverage. In Bangladesh, it has 100 branches to provide services to the people. All these branches are located in such a place in where customers feel comfortable and safe to make their transaction. There are 2529 staffs who work for NBL either in back office or in front office. It has a better financial position than others in the banking business. It is strong at research and development, as is evidenced by its evolving and innovative product & service range. NBL has more social awareness than other banks in Bangladesh right now. The organization does not have a diversified range of products & services. Still the bank is not fully computerized. Manual registers are used in some cases. However, the income of the business is still heavily dependent upon its share on the retail market. It caters less the corporate market than the SCB. This may leave it vulnerable if for any reason its market share erodes. The retail sector is very price sensitive. But it pays very less interest than other banks. So, if they found higher interest rate offering by other private banks of Bangladesh then they will loose customers. It has less promotion campaign than the other bank, because they believe brand value is the top promoting entity for the company. NBL has a goodwill that it provides different banking services to the people with a minimum cost and cut a very little charge on its transactions. Although it already has 100 branches to provide services to its customers, it also has the opportunity to build up more branches to make more convenient for the customers. The banking business of NBL and its other social activities have increased day by day. Sophisticate customer service scheme of the NBL more preferable to customers than other banks. Products & services development offers NBL many opportunities. There is the opportunity to develop products and services such as insurance business & huge investment in capital market etc. Such high value items will tend to have associated with them, high profits. There are also global marketing events that can be utilized to support the brand such as the sports & other cultural activities. NBL is exposed to the international nature of trade. It has to deals in different currencies and so costs and margins are not stable over long periods of time. Such an exposure could mean that NBL may be doing banking business at a loss. The new technology emerges to protecting the currency value & use options for better credit rate earnings. The market for banking sector is very competitive. The model developed by NBL to be world’s local bank is now commonly used and to an extent is no longer a basis for sustainable competitive advantage. Competitors are developing alternative brands to take away the market share of NBL. The roles and regulation of the government and conventional laws of Bangladesh are also act as threats for the growth of banking business development in Bangladesh. As discussed above in weaknesses, the retail banking sector is becoming price competitive. This ultimately means that retail consumers are transacting in bank around for a better deal. So if NBL charges a comparative high price for a bank account service, or loan rate service, then the customers could go to the other bank to compare fees & charges for the exactly the same services, and will take decision the cheaper of the two. Such customer’s price sensitivity is a potential external threat to HSBC. NBL has to expose its international nature of trade more efficiently. It has to recover costs and maintains margins over long periods of time. The new technology has to use to protecting the currency value & use options for better credit rate earnings. NBL has to come to with other sort of criterion that’s why the competitor have to fight very long to copy that exposure. NBL has to give a better deal in the banking fees & charges for the customers for the retail banking sector. NBL has to focus equally to both ranges of customers either retail or corporate. It has to build up a proper strategy that’s why the corporate customers can be interested to open more of corporate account in NBL. NBL also has to give higher interest rate for various products & services to gain more market share in banking business. They have to advertise their brand name more .They can sponsor their name for various social activities which will bring up NBL value more to the local customers. They can also make social awareness to the local customers. NBL considers the PEST analysis very important to understand better the local environment before beginning the marketing process. NBL’s environmental analysis is a continuous process. The internal environment – internal customers like, office technology, wages and finance etc. The macro-environment – Political and legal forces, Economic forces, Socio-cultural forces and Technological forces. These are known as PEST factors. The political environment is not stable, so as the banking sector. Though the business activity is wholly regulated by Bangladesh Bank, in a country like Bangladesh, NBL’s banking activity is depending on the political culture of Bangladesh. Government policy influence laws that regulate NBL’s business. The government’s position on marketing ethics, culture & religion is totally based on custom & culture of Bangladesh. So, NBL is following that custom. NBL considers the state of a trading economy in the short and long-terms. The interest rates for various accounts are quite attractive. The bank also invested a huge portion of money to the T-bill market. The level of inflation also affects the business values in Bangladesh. Though as being a fore bank it can adjust that inflation very easily. It thinks about the principle religion of the country and gives its employees the best possible benefit for that. Two bonuses in a year are based on two Eid festivals. The attitudes towards other products and services of other competitive banks are marked specifically. They try to update their system & procedure in a standard manner. Our mother tongue is Bengali. I saw the top level mangers are converse with one another in Bengali. NBL knows that, the people of Bangladesh are very emotional in nature. So, it tries to adopt that emotion in their business for better understanding the local customer. Technology is vital for competitive advantage, and is a major driver of globalization. NBL allows a better technology for its products and services to be made more cheaply and to a better standard of quality to the customer. These technologies offer consumers and businesses more innovative products and services such as ATM machine. NBL offers its customers to a new way to communicate with consumers e.g. Customer Relationship Management (CRM) etc. Management should set proper planning for its operations of each and every work for the whole bank as well as all branches of NBL. Management must design the jobs on priority basis. As the top management has decided to start online banking system, necessary steps should be taken to make this decision implement as soon as possible. It is necessary to assign required qualified manpower for every job. All branches should properly maintain all documents on daily basis. It must avoid the duplication of work through better communication. It also tries to avoid duplication in any case through accuracy and efficiency. It is required to develop some effective motivational programs. And most of all ensure proper communication with head office and other branches. I acknowledged different banking functions and day to bay banking operation on my way to complete this internship. From my starting day to up to date my practical implementation of customer dealing procedure during the whole period practical orientation in NBL at Foreign Exchange branch, I have to try my best to reach a firm and concrete a conclusion very confident way. In this report I have explained my best in respect of my real life experience gathered from different departments. I believe that my realization will be in harmony with most of the banking thinkers. Now a day banking sector is more competitive. To achieve a proper reward about performance, it is essential to satisfy its customer by providing them different valuable and dynamic services. Because a satisfied customer will talk to others about the services those he/she is very justifiable enjoying and a satisfied customers statement is more effective than a thousand of commercial advertisement. People depend on the people – is the mode of human civilization. Therefore, the importance to satisfy customer is increasing day by day in the private commercial sector especially in the private banks.